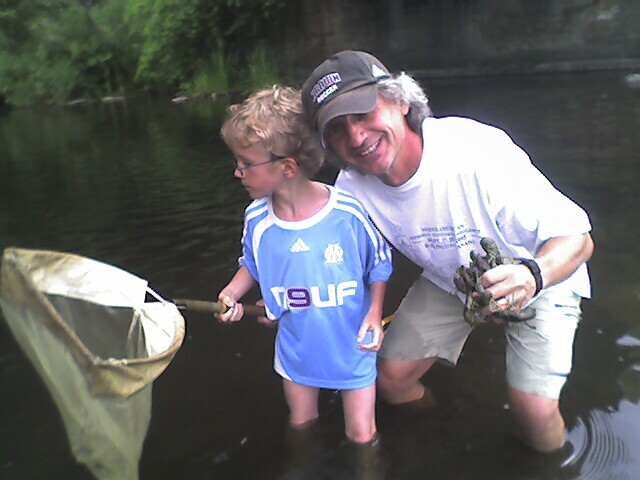 Like many Ontario children, I learned about crayfish at camp, overturning boulders in streams, and chasing the flipping tails as they disappeared into clouds of silt. 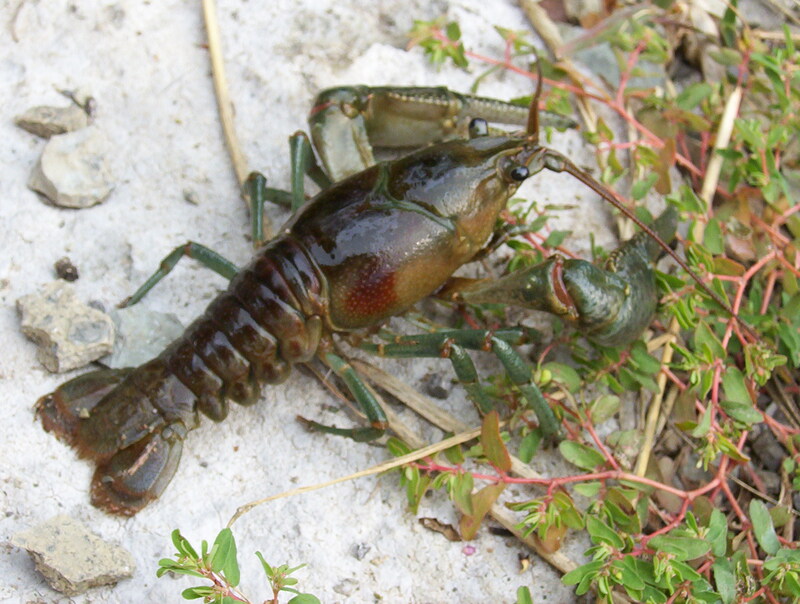 In those days, Ontario was home to seven species of native crayfish, including the large, fastwater species, Cambarus robustus, the cryptic burrowing crayfish, Fallicambarus fodiens and the tiny Orconectes propinquus. Little did we know that the impact we had on the crayfish population was nothing compared to the simultaneous and sinister arrival of the invading crayfish, Orconectes rusticus. This Ohio native was brought across the US border into Ontario by eager bass fishermen as bait, dumped overboard at the end of a day of fishing and left to successfully reproduce. There is nothing better than spending a hot day with pants rolled up in a cool stream, net in hand, on the lookout for fast-moving decapods. If they are good enough for bass, couldn’t rusty crayfish be good enough for human consumption, too? In her article, “Appetite for Destruction” (Hemispheres magazine), Jodi Helmer describes the way chefs in the U.S. are using four introduced species in their menus. In particular, chef Bun Lai in New Haven, Connecticut is reported to be collecting the introduced Asian Shore Crab to use in a seafood stock and as a garnish in his sushi restaurant. I asked Francine Macdonald, Senior Invasive Species Biologist at the Ministry of Natural Resources and Forestry, whether she thought that a similar initiative could work in Ontario. “Well I am not much of a foodie,” she laughs, “but certainly people have eaten the rusty crayfish.” I asked Macdonald whether she thought there could be any roadblocks to the use of rusty crayfish in restaurants, knowing that the regulations for possession of crayfish as baitfish had recently changed. “The regulations allow for a fisherman to carry 36 live crayfish, but only on the water on which they have been caught,” she says. “It is illegal to transport them across land.” Thus it becomes important to cook crayfish as close as possible to the water’s edge, in order to avoid any misunderstanding regarding transportation of an invasive species across land. 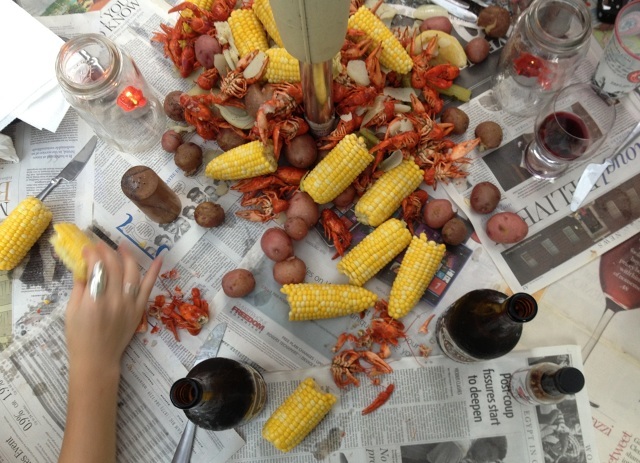 The crayfish boil is a southern tradition that our family had long ago adopted in our efforts to single-handedly wipe out the rusty crayfish from the Ouse and Indian Rivers, in Peterborough County. One of the differences between Ontario crayfish and their saltwater cousin, the lobster, is that crayfish need the addition of salt when you boil them, but they don’t need to be overpowered with spice, as do the muddier Louisiana crawfish. Scandinavians celebrate the opening of the crayfishing season, Kräftskiva, with our family’s favourite way to season the mild and sweet flesh of the Ontario crayfish, kräftor med dill. The recipe, found on swedishfood.com, uses a simple broth of dill, beer, anise and salt. Chased with aquavit of course. Skål! 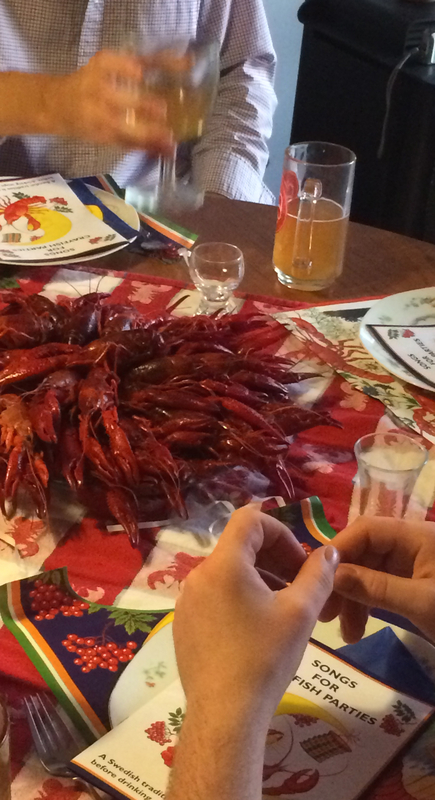 You don’t need to be Swedish to enjoy the traditional crayfish party, Kräftskiva, celebrated every August. A valid fishing license and Outdoors Card (a conservation license will do). In Ontario, anyone under the age of 18 can fish as long as they are in the company of a licensed fisherman over 18. A portable propane burner that can support a one-gallon pot of water.